life can turn even the most cheerful person’s life upside down. Always remember that the shoe could be on the other foot. Often we don’t know how much our smiles and staying strong matters to someone around us. We need to make effort to consistently carry on with strength. Kindness, smile and the likes is strength. I never knew how much being kind with a few words really mattered to a situation till I came upon one. I saw someone come alive after a few words of kindness. 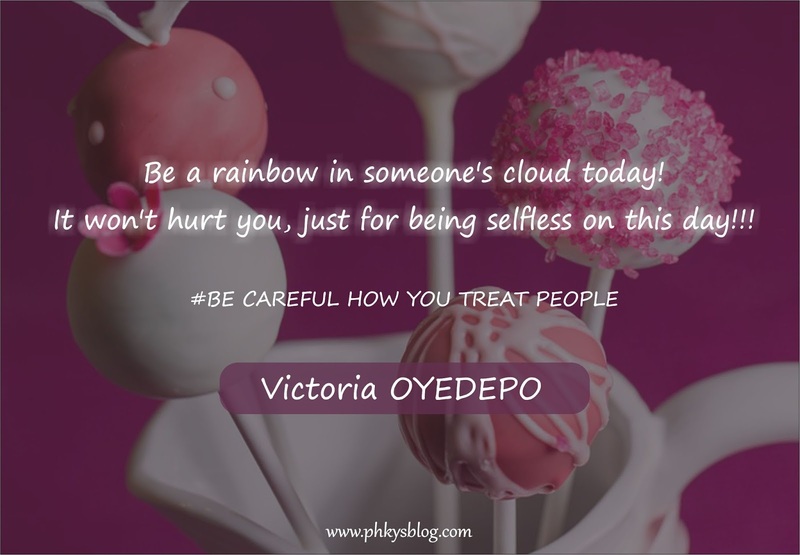 Be a rainbow in someone's cloud today! It won’t hurt you, just for being selfless on this day, God is going to bless you.